Buongiorno... ultimo anche per questa settimana! Aspettando il week end, che Adele passerà molto in compagnia del suo babbo, mentre io sarò all'addio al nubilato della mia amica Carolina, abbiamo optato per un outfit di cui sono particolarmente orgogliosa. Si tratta di un total look firmato Babe&Tess, che è un marchio di abbigliamento tutto italiano che veste bambini da 0 a 10 anni. Questo brand produce tutto in Italia, come orgogliosamente proclama sulle sue label e nel sito e pone particolare attenzione alla qualità dei propri prodotti nel rispetto di chi lavora e dei clienti finali: mamme e, soprattutto, i bambini che indosseranno i capi!! Noi abbiamo scelto un completo formato da felpa a righe con marsupio e pantaloni ginnici abbinati al cappello con paraorecchi morbidissimo e super divertente; i toni sono quelli del grigio antracite e del sabbia, accesi dal tocco fucsia dei calzetti! Buon week end e a lunedì! Good morning... the last of this week! While we're waiting for the weekend, that Adele will pass with her dad because I'm going to go to the bachelorette party of my friend Carolina, we opted for an outfit that I'm particularly proud of. 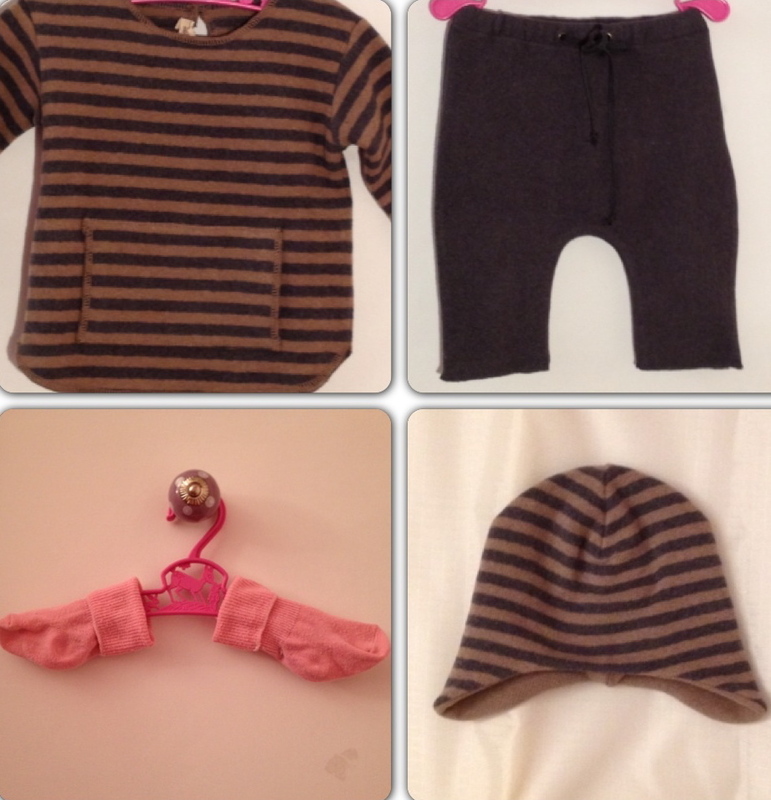 It is a total look signed Babe & Tess, who is a clothing italian brand that dresses children aged 0 to 10 years. This brand produces everything in Italy, as they proudly proclaims on their hangtag and on their website and pays particular attention to the quality of its products in respect of those who work and customers: mothers and, above all, children who wears the clothes! 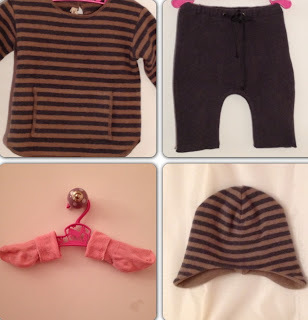 We have chosen an outfit made by a striped sweatshirt with pouch and gym pants paired with soft and funny hat with ear flaps. The tones are anthracite and sand, highlight by the touch of pink socks! Good weekend and see you on Monday!